I have had several dreams that have been so vivid and to this day I have not forgotten them. I know that God gave me a dream once to communicate to my wife, as we both talked about it and agreed it was a message to us. Another dream I had was fulfilled about six months after having it and showed me that God was going to use me to help save someone. Even though the dream was abstract in nature, the same person was in both the dream and in the real life scenario. I have no doubt that God still communicates in this way to some people. Sometimes my dreams make no sense at all and I never remember them, but there are some that have been so vivid I cannot forget them. Last night I had another one of those dreams. There I was in a field next to a chain-link fence when all of a sudden a flood of water started to fill the field. Then the water was rushing in so hard it started to take people away who were all around me. 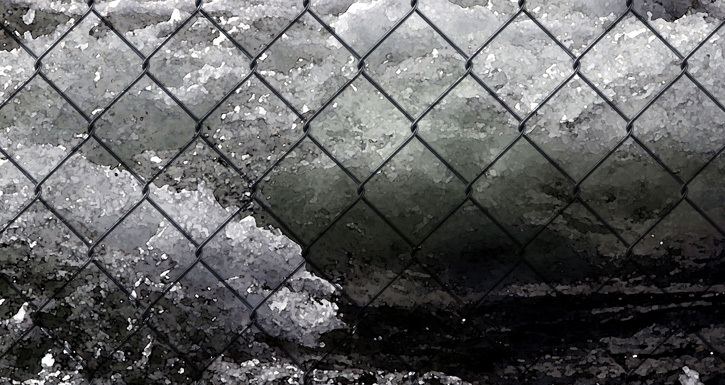 I grabbed hold of the chain-link fence and then the ground below started to give, being washed away from underneath me. Everyone was being swept away as I held on. I placed my feet on the cement where the fence post was set in to secure myself and held on to the post. But then the entire fence bent over from the surge of water and was now parallel to the surface of the water. I was pulled under and then I grabbed hold of the chain-link fence. I was panicking and struggling to hold on, as I didn’t want to die. Then a man, who was also holding on to the chain-link fence about ten feet away from me, yelled out to me to hold on and everything will be OK. He kept yelling at me the same thing over and over. It was just he and I. I managed to pull myself toward the bent over fence post and secured myself again. It is strange that even though there was no ground underneath me, the fence did not end up washing away. I looked back and the water looked like a river coming in but there was a large surge coming towards us and so I secured myself even more as it approached and then I woke up. I have thought long and hard this morning of the meaning of this, but I think I need to sit on this one for a while and wait for God.